Despite conversations with UK and Wales Assembly Government at the highest level we have been told that no such instructions have been issued. The only legislation is that placed on PCNPA to identify the need for "affordable housing" and to review it every year in a five year programme. Any decision made is "local". Once again PCNPA are being "economical with the truth". 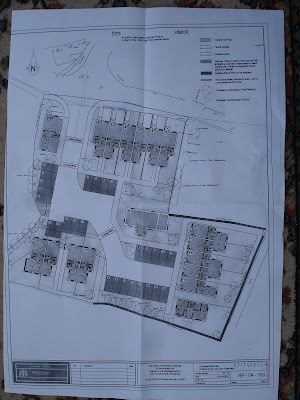 Twenty five houses are proposed for Bosherston in the new JUDP. PCNPA are proposing to build between 250 and 500 new houses each year for the next ten years within the Park. This should not be decided localy, the Park is a narrow coastal strip when it was set up no settlements apart from Tenby and Saundersfoot were included. Views of the site from all directions,on the skyline from all directions. Completely out of place out of scale. No place in a linear NP which was set up to exclude all the major settlements. Any major development should be outside the park as only the minimal coastal strip was incorporated as Park. Historic landscape elevated sight visible for miles not in the JUDP if granted will create a precedent. For information,objections please for all the usual reasons. Grossly out of scale, little parking, poor design, alien design and use of Energy intensive low life materials. A new planning application is in to demolish number 5 and build 21 "starter homes", have they not heard of the Trades Description Act. Objections to PCC please. 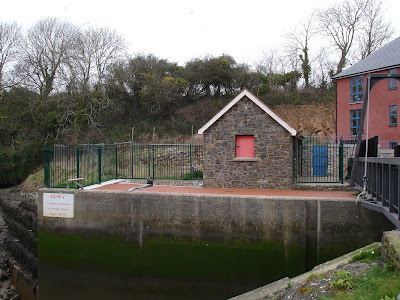 PCC have now completely blocked the access to the North Shore of Pembroke River with high security fencing. The situation is bizarre, to protect the barrage more and more unsightly rubbish is erected. The barrage must go. This is not the solution to vandalism. PCC boasts that it charges the lowest Community Charge, but we the residents suffer the drugs the drunkeness, murders, assaults, violence, and vandalism. Do nothing, private greed, public squalor, have had their day, tell all the Candidates that at the May Elections. Very informative meeting, well attended overwhelmingly hostile. 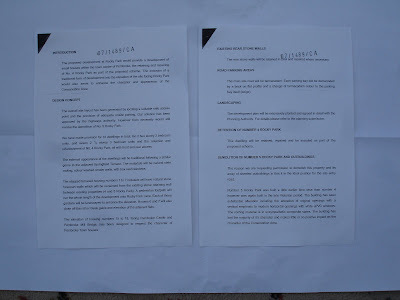 Dissatisfaction with PCC thoroughly aired.The exhibition had been roughly thrown together and did the developer no favours. The basic plan is acceptable BUT the devil is in the detail. No demolition except for the PCC public conveniences with no replacement. Completely unnacceptable was the privatisation of present public open space. The Disney / Eurotat overlarge buildings were an insult to the site, the entire feasibilty of the scheme depends on the commercial return to the developer, critical is the price negotiated by PCC for the site The car parking is nonsense, vehicles except for service must not be accommodated on the site, the conflict between pedestrians and the limited open space within the scheme would be unnacceptable. A good basis for future negotiations, please send your comments to this site as these will be helpful. The major problem is parking for residents and visitors. One solution would be to cover part of the Commons with hidden blocks as at Carew and Stack Rock. 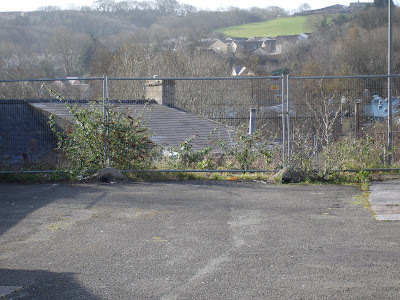 This would require a licence from PCC, or better a swop of a suitable open area an open space in return for six weeks a year use as temporary parking. 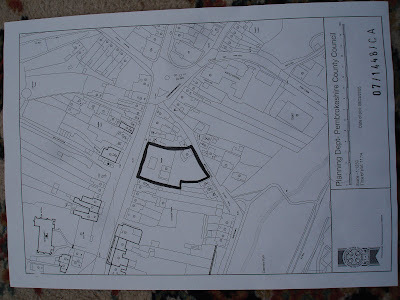 PCC owns land in the area which they could dedicate as Crow or under Village Green Legislation, in compensation. There is an application to demolish this building. 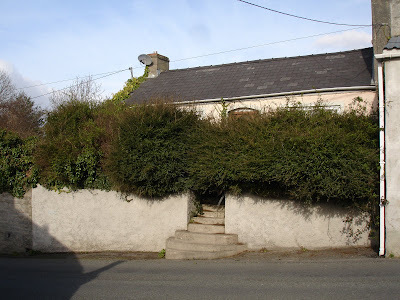 Since the elderly occupant died this traditional Pembrokeshire Cottage has been deliberately neglected, the garden is overgrown. The garden wall the steps are part of the charm, the cottage is the last one left unmutilated. The cottage backs on to the filling station site on Main street, the demolition part of a further application for this site. Yet another breech in the building line which is a segment of the Town Wall. For Environmental reasons, reuse of the present building, the effect of demolition in a Conservation Area, All the surrounding buildings are low rise. 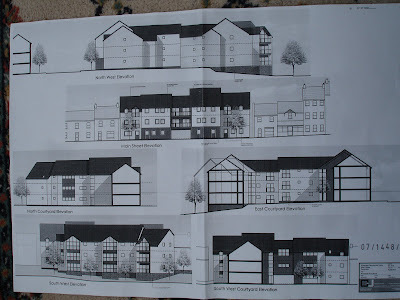 Demolition should be resisted at all costs.Once again PCC have advertised this application with no reference number, no dates ,and no closing date, they should start again. 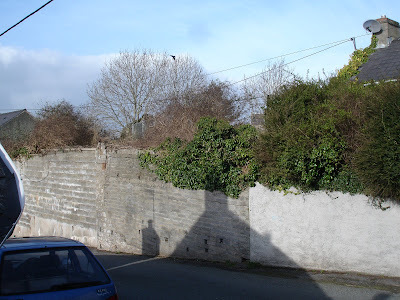 The applicant M.Baroth of Pan Maritime Ltd a large International Commercial Property Company is unlikely to be interested in a suitable development for that site which will respect the surrounding properties and in keeping the Burgage Walls. 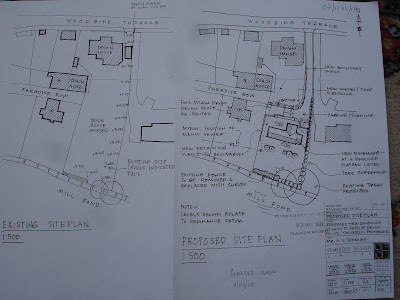 What consultations have been carried out with PCC before this cottage was bought and the site prepared for building. 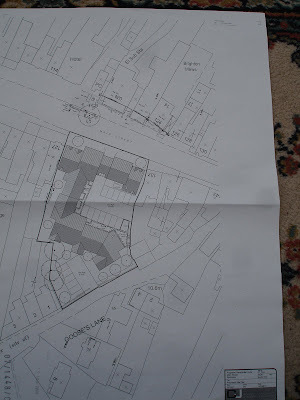 When a Demolition Application is considered the subsequent use of the site is supposed top be considered as part of the Conservation Area Demolition Consent. The presumption must be reuse not removal. The cottage is perfectly sound but needs interior upgrading to modern standards.